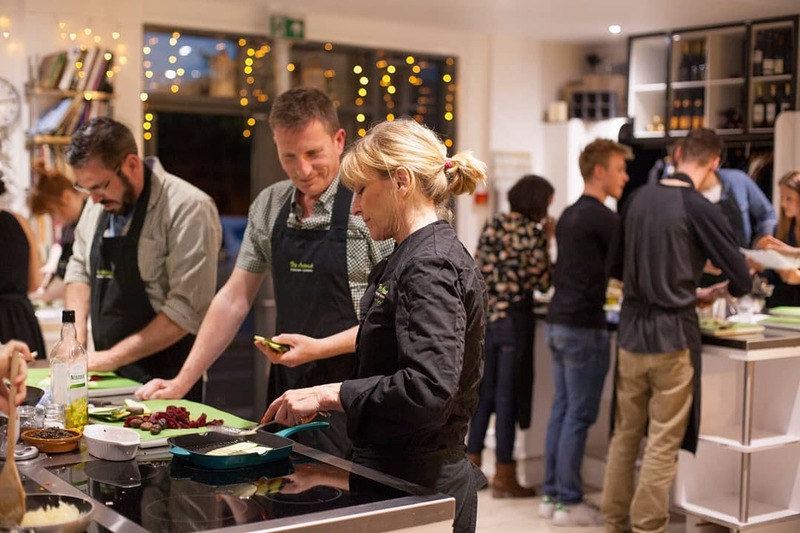 Then you’ll love this cookery class The Avenue London Cookery School. They love to teach students of all ages and levels to understand more about food. So stop relying and following instruction via cookbook start treating recipes as sources of inspiration and guidance instead. They offer 3-hour evening classes to 2-week Chalet Host courses as well as corporate events and anything bespoke for those special occasions! have handy tips to share with those who want to join them on their kitchen adventures. Check out there courses to see what tantalises your taste buds! The Avenue School of Cookery! Thanks to The Avenue School of Cookery who let me and another of the community of Love Pop Ups London come down to learn to cook. Get links to our blogs from the comments section below. I had the opportunity to go to a vegan sushi lesson at Avenue Cookery School and I had a blast! They make it so much fun to learn to cook there and we had tunes and drinks to make it a party too. Why not head down to Wandsworth to check it out for yourself? !